Nuts! Oh…they sure can cause trouble if you are allergic to them and growing number of adults and kids alike are allergic to them. I became more attentive to this problem when my 3 year old daughter experienced allergic reactions. The doctor identified the red rashes all over her body, as an allergic reaction to some food. The doctor asked me to cut down on 8 foods namely eggs, milk, peanuts, tree nuts, fish, shell fish, wheat and soy which accounts for about 90% of all the reactions. So what type of food allergies are we talking about? It could be peanuts for one or tree nuts. (almonds, walnuts, pecans, cashew, Pistachios, hazelnuts). 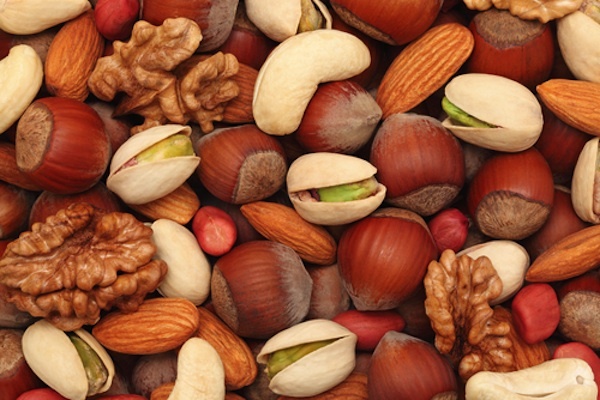 Nut allergy is one of the most common types of food allergy in both children and adults. This allergy tends to last an entire lifetime, although about nine percent of children with a tree nut allergy and 20 percent of children with a peanut allergy eventually outgrow their allergy. On stopping the consumption of peanuts, the rashes never turned up, thus confirmed the nut allergy in case of my daughter. The first thing that comes to one’s mind about having an allergy is, you picture non-stop sneezing , running nose etc. But, unlike an allergic dust or spring flower that many have, a nut allergy can cause difficulty in breathing and other serious issues including skin rashes etc. and could prove fatal at times. Before we proceed towards, the symptoms, precautionary measures to take and substitutes, let’s quickly check out what exactly is a food allergy. It is very important to know what is food allergy? People are seldom aware that one could be allergic to some food and that dust and flower allergies are not the only allergies that people may have. The job of our body’s immune system is to identify and destroy the germs (such as bacteria or viruses) that make you sick. A food allergy occurs when this immune system wrongly identifies a harmless food as an allergen i.e a threat and attacks it. When you come into contact with something that you are allergic to (an allergen), a group of cells in your body, called mast cells, release a substance called histamine. Histamine causes the tiny blood vessels in the tissues of your body to leak fluid which causes the tissues to swell. This results in a number of different symptoms. Rashes, swelling of the extremities, redness and tenderness, hivesm nausea, stomach cramps, vomitting, diarrheo and breathing difficulty. Quick action: Antihistamines such as diphenhydramine (Benadryl) or loratidine (Claritin) can help relieve rashes and hives. Cold, wet compresses can also help soothe irritated skin. Quick Action: Emergency treatment is critical for anaphylaxis. Untreated, anaphylaxis can cause a coma or even death. Avoid peanuts and tree nuts. This means we also need to avoid foods containing them like cookies, candies, ice creams, yogurts, sauces, Thai, Chinese and Indian dishes that often contain peanut and tree nut. One can have these without the nuts in them. Be very cautious in the kitchen while using the equipments. Knife, spoon or any vessel in which peanut or nut food preparation was used should be properly washed before using it again. Keep rescue medicines on you at all times — not in your locker, but in a pocket, purse, or bag that’s with you. If your child is suffering from nuts allergy, inform this in their school. Take care of your loved ones, by being extra careful of what they are eating. Make them happy by suggesting these alternatives such as sunflower seed butter or soy nut butter, hummus and nut free granola bars over peanuts and tree nuts. Disclaimer: This blog is based on examples we have come across of people with Nut Allergy. To know if you’re allergic Please consult a doctor and do not go by your own judgement. An allergy test will confirm the allergies you have if any. How many of you would debate with me if I say FATS are good for your health? I think most of you would, right? I know for a fact that you will counter me on this and argue with me that fat is one of the major culprits behind heart attacks or high cholesterol levels and also that it has a very big contribution towards the distorted figure which now one is struggling with and trying to get back into shape. Well, while I agree to an extent, I also disagree at the same time. I do not mean to confuse you. Let me simply explain this to you. All of us are familiar with the popular saying there are two sides to the same coin or the fact that there is good and bad in everything and every aspect. Same applies to fats as well. There are good fats and there are bad fats. You must be actually wondering when I say there are Good Fats. But, the reality is yes there are good fats. 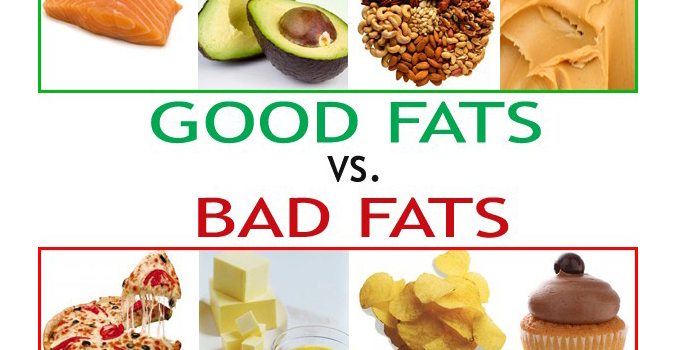 Let us now try and understand what good fats are? They help to build cell membranes, the exterior covering of each cell, and the sheaths surrounding nerves. They’re vital to blood clotting, muscle contraction and relaxation, and inflammation. They reduce LDL (Bad cholesterol) more than they lower HDL (Good cholesterol), improving your cholesterol profile. Even better, they also lower triglycerides. ü Prevent and even treat heart disease and stroke. ü Prevent and treat autoimmune diseases such as lupus, eczema, and rheumatoid arthritis. ü Omega-6 fatty acids also lower the risk for heart disease. Good sources: vegetable oils as safflower, soybean, sunflower, walnut, and corn oils. These fats should be used as much as possible along with polyunsaturated fats to replace the bad saturated fats and Trans fats. Good sources of monounsaturated fats are olive oil, peanut oil, canola oil, avocados, sesame oil and most nuts. They increase the acetate fragments in the body which is turn leads to increase in the production of cholesterol. They tend to clump together and form deposits in the body along with protein and cholesterol, and get lodged in blood cells and organs leading to many health problems like obesity, heart diseases and cancers of breast and colon. They build up in the arteries causing narrowing of the arteries called as atherosclerosis which consequently can lead to major heart problems. Sources of saturated fats: Cheese, butter, cream, red meat. Saturated fat is also in tropical oils, such as palm oil, coconut oil and cocoa butter. Tran’s fat is made by adding hydrogen to vegetable oil through a process called hydrogenation, which makes the oil less likely to spoil but difficult to digest. Raises your “bad” (LDL) cholesterol and lowers your “good” (HDL) cholesterol. Pre and post workout meals: Is it Important? I was sitting in my office when I heard some loud noises coming from outside. It seemed like two men were having a heated argument. Curiously I stepped out to find out what was wrong. It was a customer who seemed to be very disappointed. Despite being regular to the gym and following the workouts as told by his trainer, he was not getting the desired results of weight loss leave alone a good physique. The receptionist was trying to explain to him, to take nutrition consultation but he was like “I eat very less, so diet should not be a problem”. Ain’t we all are own doctors and nutritionist and we really do not need the right consultation. Looking at the never ending argument I went up to him personally to talk to him and tried to understand his problem. Through the conversation and after taking down his detailed history, I arrived at the conclusion that he is very passionate about workouts and hence manages to do it even when he is traveling. But his diet was miserable. I explained to him that diet and exercise go hand in hand. In fact, diet contributes 70% and exercise 30% to achieve the desired results. But 70% diet doest mean, you have to eat less, it means right meal, at right time, in right proportion. Hence, it is very necessary to look into your pre and post workout meals. He was taken aback at what I was saying and asked me to explain what are these pre and post workout meals? I started with the importance of pre workout meals. The way your car requires fuel to run, the same way our body also requires fuel in the form of food to perform better during workouts. The same analogy applies. Pre workout meals should usually be a combination of complex carbohydrates and simple carbohydrates for slow and steady release of energy throughout your workout. Along with carbohydrates adding a small amount of protein helps to decrease the exercise induced muscle loss. Now when you exercise, blood flow is diverted away from your digestive system to your muscles. Hence one should avoid meals which take time to digest like meals high in fats and fiber. Ideally one should eat about 2 to 3 hours before the workout to give time for your system to move the food out of the stomach and begin digestion and absorption. Some of the examples for pre workout meals can be whole wheat toast with banana and low fat yogurt and fruit smoothies with some granola bar or any traditional Indian meal. At this point I was interrupted saying “This seems interesting, but what when I go for early morning workout. I do not feel like eating so much”. 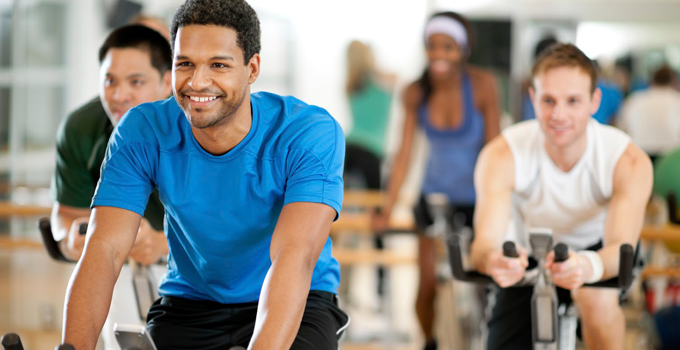 For early morning workouts, your glycogen (stored carbohydrates) and blood sugar levels are low. The time between your last meal at night and early morning, tends to be between 10 to 12 hours. During this overnight fast, your glycogen stores slowly decline, because it is being used up to keep various bodily functions going while you sleep. So for early morning workouts, eating a small amount of rapidly digestible carbohydrate like any seasonal fruit would be the best choice. Ohhh great so I can have a banana before workout. 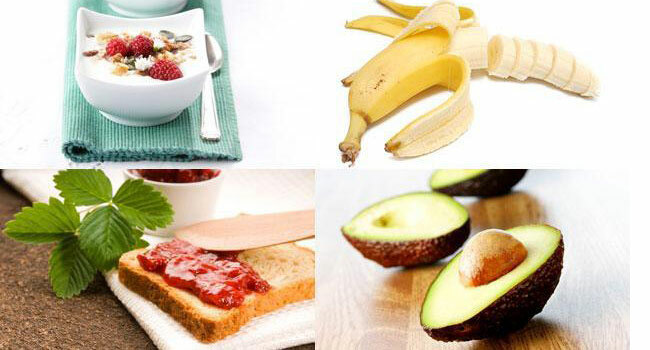 Yes banana can be a perfect option as it is rich in potassium, which drops down when you sweat a lot during workouts. Are post workout meals also as important to consider as pre workout meals? Was his second query. Yes absolutely. Immediately after workout our muscle cells develop high insulin sensitivity, which means that 30 to 45 minutes post workout our body gets a window of opportunity to absorb nutrients into our muscle cells and recover them faster. Thus, one should have such a meal which leads to increase in insulin levels to arrest muscle breakdown, increase the speed of glycogen re-synthesis, increase both the size and strength of muscles tissue, increase blood flow to the muscles which improves both nutrient delivery as well as removal of waste like carbon dioxide, lactic acid from muscle and bring downs the cortisol level, helping the body to maintain its immune functions as well. Water to quench the thirst and to come out of the post workout dehydration. Easily digestible carbohydrates like banana or potato to replenish your glycogen stores and your blood sugar level without disrupting the blood flow much to the worked out muscles and to spare the muscle/protein to be used as a source of energy. First class proteins like chicken, fish, eggs, paneer, whey protein shakes, which will provide the body with all the required amino acids to carry out its repair work and arrest further tissue damage. Antioxidants to help the body recover from free radicals that are generated during exercise. Bottom line is to be aware and understand the importance of diet along with exercise and to start following a proper exercise regime with proper pre and post workout meals.